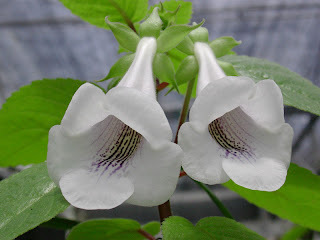 Not always the cross of miniature Sinningia is going to get the fully-developed offspring, on the other hand, it's also important to find the "Bridge" as the specific plant for future hybridization purposes. 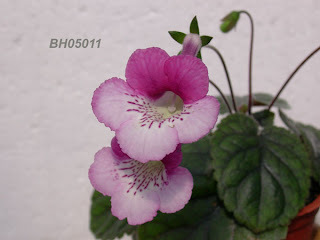 Consideration to the different combination possibilities under the background of the parentage, this is sometimes helpful for making the model plant as long as the both parents plants are well-decided. 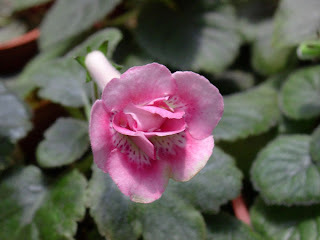 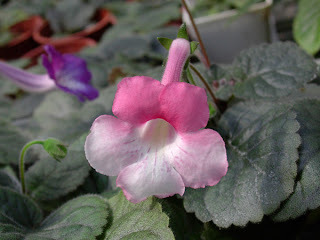 The large and pale pink miniature Sinningia is an ideal Bridge parent for easily generating pinkish flower in different level. 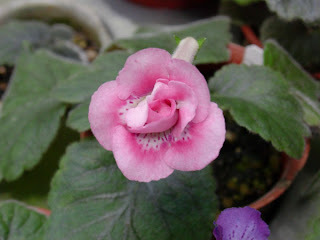 Upper medium pink and lower slight pink, more 3CM in diameter. 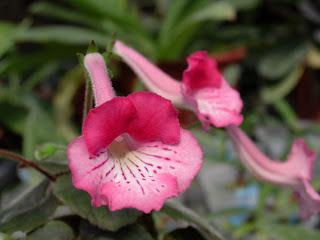 When needing to create large pink to red one, this Bridge plant can be the candidate. 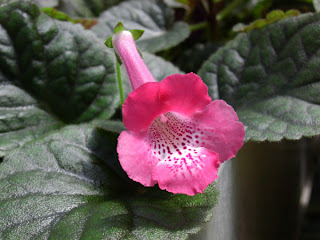 Comparison to the standard miniature Sinningia, this one is even smaller but compact foliage. 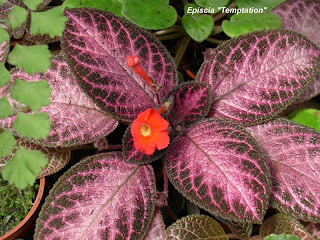 It's a good choice when I need the smaller grower. 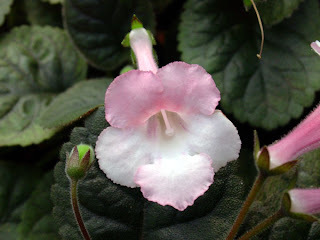 This flower combines light blue and pink which I assume it may be a good Bridge to target the blue or pink miniature Sinningias. 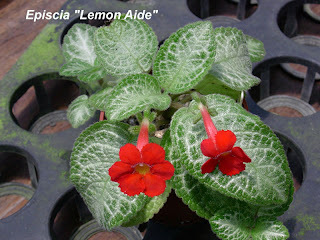 Sometimes probably the lack of sunshine or temperature reason, the red edge may fade out. 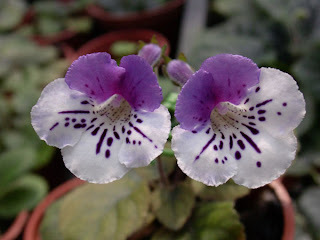 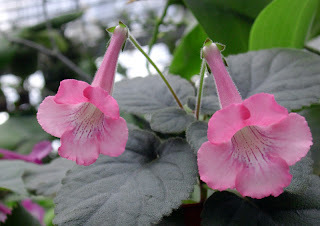 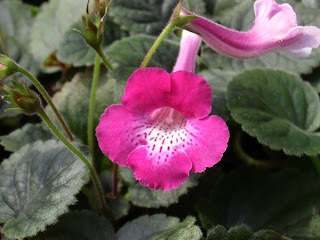 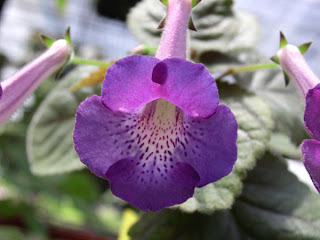 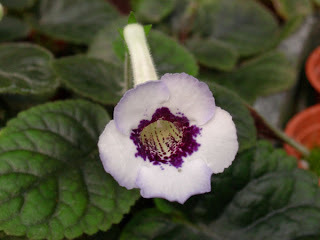 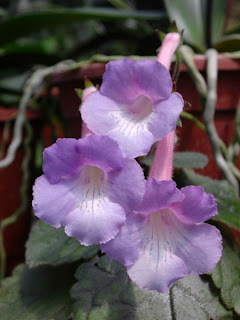 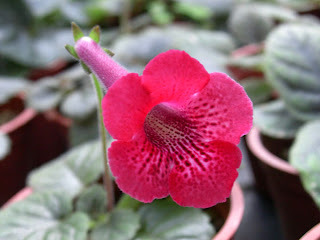 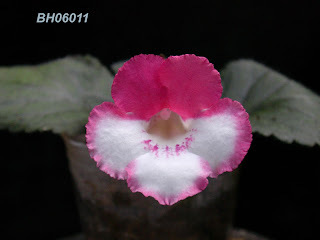 This lovely bell shape flower is Gloxiniopsis which was separated from the genus Gloxinia. 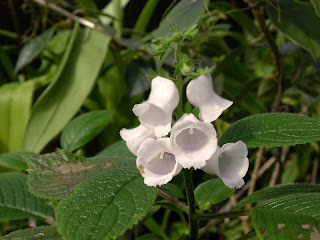 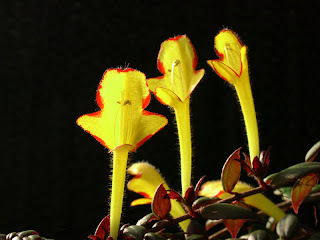 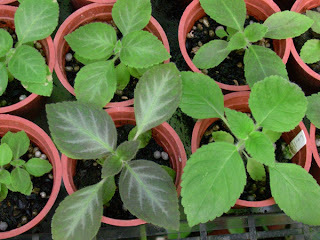 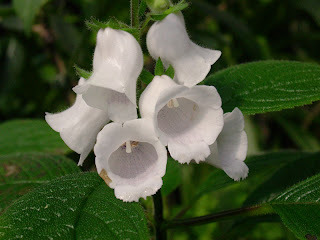 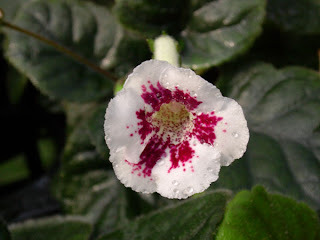 Native in Colombia, it has rhizome and very seasonal. 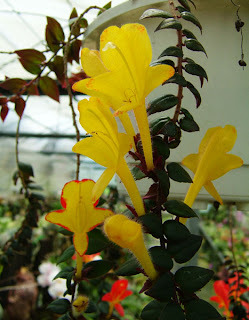 Blooms in spring to summer and goes to dormancy during cold weather. 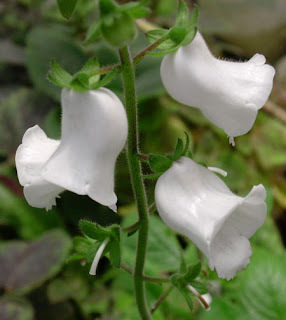 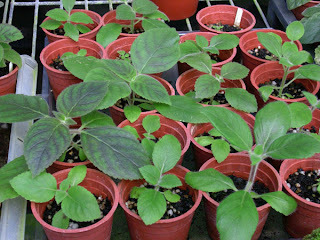 It looks delicate but easy to grow. 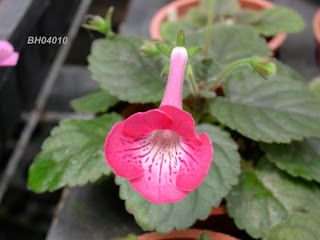 I don't tend to double Sinningia, as usually the foliage looks irregular but the recent hybrids of double Sinningia seemed to imporve this appearance flaw. 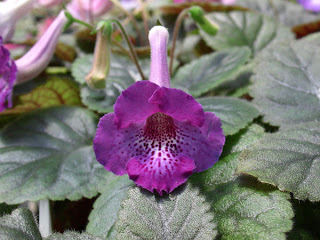 Country Prayer features the full double flower and soft color which the Sinningia lovers can't resist. 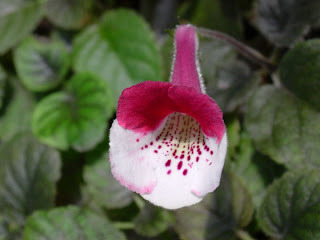 A nice intergeneric cross (Sinningia conspicua x Paliavania tenuiflora), it has a scent while under sunshine. 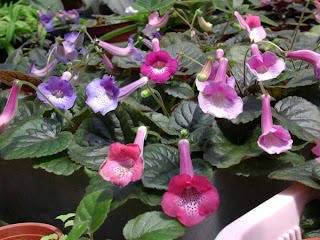 This is an old collection from my former hybrids about 3 years ago, but I don't realy grow it well. 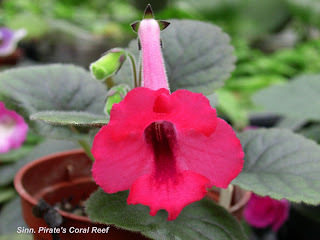 The vivid coral red flower size is 3cm in diameter and 3 buds per stalk from the growing history.